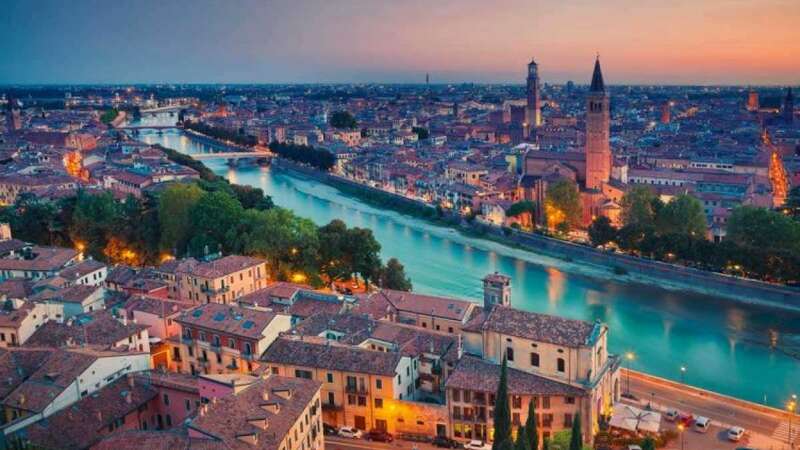 Milan : Italy has, no doubt, become a popular wedding destination for Indians after the Virat-Anushka and Ranveer-Deepika nuptials, but the southern European country has a lot more to offer. It is also an ideal vacation spot this time of the year as several cities, especially Milan, are oozing with the festive spirit. Be it streets or shops or houses, each nook and corner of Milan is decorated with sparkling, colourful lights and Xmas trees, bringing joy and happiness to people this Christmas and New Year. From old forts to gothic churches to famous Milanese restaurants and museums, the city offers everything one would seek during a vacation. And its diverse population makes it even more special. Though the city is the habitat of people from every different social strata of Italy, it is their style statement which unites them. Be it local commuters or chauffeurs or tourists, everyone knows how to look elegant and classy. No wonder it is called the fashion capital of the world. The fashion affair begins the moment you land in the city centre, especially Montenapoleone, also known as the fashion district. Full of designer boutiques, antique shops and retail outlets in neoclassical mansions, Montenapoleone is considered one of the favourite shopping hubs of fashion aficionados. Thus, this beating heart of Milan is an essential stop for luxury shopping. Whether you fancy Gucci or Prada, you just have to name a brand and you will find its huge store in front of your eyes. Apart from fashion, Milan is also famous for its intricate architecture. And Duomo di Milano is an epitome of the city's architectural splendour. The construction of the Duomo began in 1386. Ranked as the fifth-largest in the world and third-largest in Europe, the Duomo cathedral is no less than heaven as it treats visitors with breathtaking panoramic views of Milan from its rooftop. Also, if you are in Milan and you don't get to see Leonardo da Vinci's paintings, then your trip is incomplete. The manner in which Leonardo da Vinci brought to life the ceiling of the Sforza Castle is quite wonderous, making it a "must go" place in Milan. And for Da Vinci's admirers, 2019 would be a great year to visit as Milan will observe his 500th death anniversary by showcasing his work all over the city. If you think Milan has just rich history to offer, then think again. It also has an amazing night life. And the best place to spend your evenings with your loved ones is near the canals, where bars and cafes of various hues flourish. Talking of bars and cafes, it won't be fair if we don't also talk about Italian cuisine. Although pasta and pizza are two dishes popular among Indians, there are other food items to be added to your list. Risotto and traditional panettone cake are among them -- and Italian red wine, of course. And if you are thinking of where to stay in Milan, without a second thought, you can find good reasonable accommodation near the central railway station. So, not just for weddings, one can visit Milan anytime. And this festive season is the best time to experience the beauty of this Italian city -- a rare snowfall may surprise, which can be a treat to the senses. And to make Milan easy and accessible for Indians, Air Italy has recently launched thrice-a-week direct flights from Delhi and Mumbai to get you to the city of art in just eight hours.